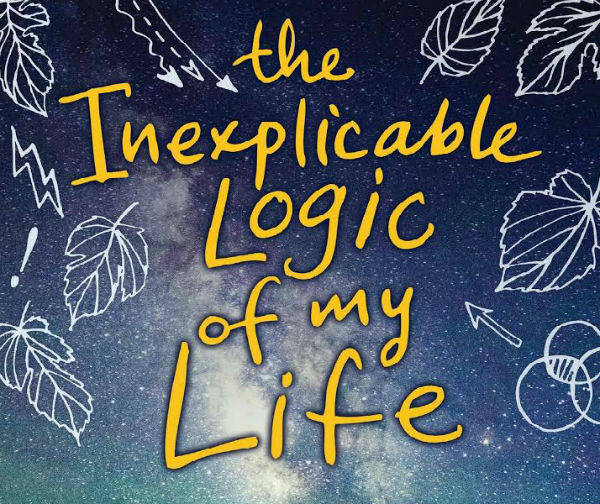 Benjamin Alire Sáenz, author of Aristotle and Dante Discover the Secrets of the Universe, has created another beautifully humane narrative with his new novel, The Inexplicable Logic of My Life. The protagonist, Salvador Silva, or Sal, is slowly growing into adulthood, a process that he finds extremely painful and confusing, dealing with all the burdens that burgeoning maturity often entails. Sal grapples with fear and anger over the numerous changes that are taking place in his life: a beloved relative’s illness, the stress of applying to college, and assorted familial strife. Along this turbulent journey, Sal is supported by his best friend, Samantha and his adopted father, Vicente. Upon entering his last year of high school, Sal’s classmate bullies him about his adopted father’s homosexuality. This becomes the first trigger in a series of ill-timed events, as Sal soon learns that his grandmother may be dying from cancer. As the year progresses, he becomes further entwined in his adopted family’s personal struggles and his birth family’s secrets. Benjamin Alire Sáenzs’s work is largely character-driven, focusing on the various joys, fears, and strengths that define his protagonist’s personal development. Sal is so incredibly loving and human that he feels like an old friend. This book is powerful for its character representations challenging traditional masculinity, differentiating itself from all-too-familiar cliched portrayals of machismo. The book showcases men who cook, who love art and literature, who love freely and abundantly. The character of Sal’s adopted father demonstrates a positive example of a kind and supportive parent/guardian figure. Another fantastic aspect of Benjamin Sáenzs’s writing is his adept handling of female characters, as the women in this book are incredibly well developed, resisting the trope of becoming simplistic side characters or love interests. For instance, Sal’s best friend, Samantha, or Sammy as he likes to call her, is a mischievous, brilliant, and vulnerable young woman, taking the time to learn and develop from her mistakes and acting as an essential part of Sal’s life and family. In addition, Mima, Sal’s grandmother, loves her adopted grandson fiercely, rejecting the superficiality of blood bonds, and acting as a testament to faith and beauty even in the face of suffering. The Inexplicable Logic of My Life is a gorgeous coming of age story that deftly tackles grief, friendship, and the struggles of young adulthood. The book beautifully captures the many forms of love that enrich the human experience.